Hi, welcome to the September SOTM blog hop. If you've come here from Haley's Blog, then you are on the right track. Should you get lost along the way, please click HERE. 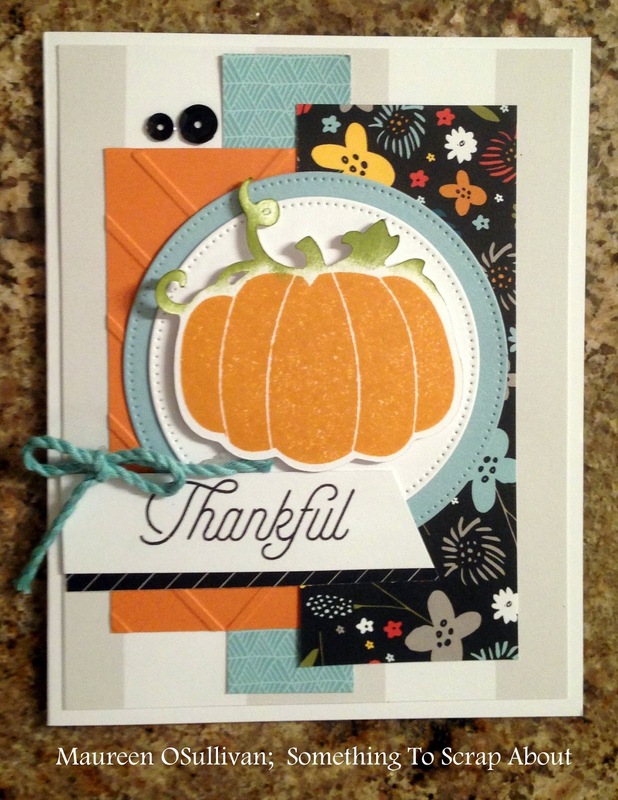 With summer fading fast:(, I decided it was time to make some fall cards. And, what symbolizes fall more than pumpkins! For my pumpkin, I stamped it in "Goldrush" and inked the green in "Fern". To pull out the blacks, I stamped the sentiment in Black. I used CTMH's new Swan Lake paper pack for this card. The line has many fall tones. I will be working with this paper line in the weeks to come. Thank you for stopping by. Please leave a comment and be sure to visit all of the other consultants' blogs. Next up is Vickie-- here is a link to her wonderful blog: Vickie's Blog. 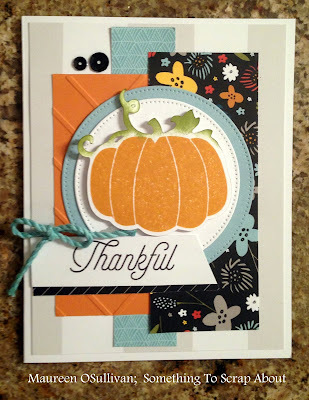 Really pretty card...your pumpkin makes such a pretty focal point...and the sentiment works perfectly! Nice card! Love the layers! Very pretty! I am loving the look of Swan Lake! This is really a great card! Adorable card. I love all the layers. Love all those layers!! Fabulous card! Beautiful card. I like the stitching or faux stitch look on the circled you layered under the pumpkin.